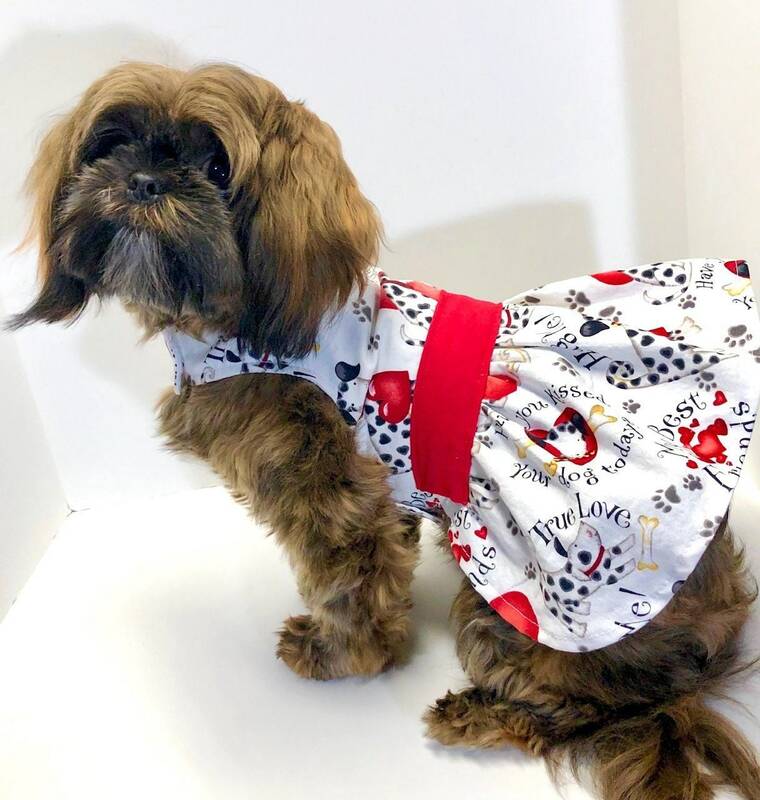 Fun and stylish Valentine's Day dog dresses will make everyone fall in love with your dog! 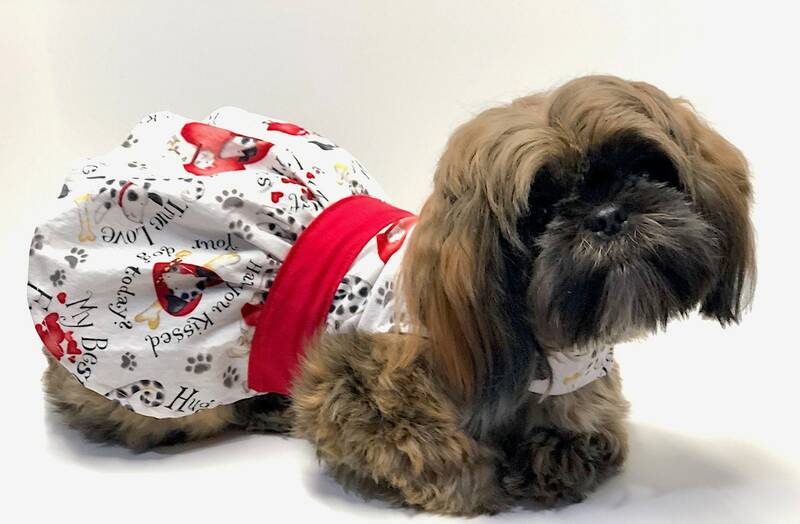 Lightweight comfortable fabric is off white with red hearts and sweet sayings of love for your dogs. These dresses are limited edition, so they are In Stock while supplies last. 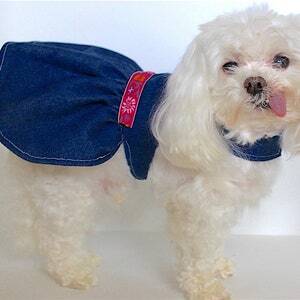 • Velcro Closures - Neck and chest closures have velcro strips for comfort and easy for you to put on and take off your dog. 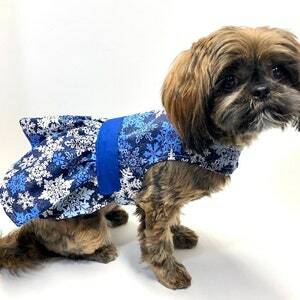 • Lined - soft dress liner for warmth and comfort, that your dog will love. • Harness hole on the back (made with white thread, images in listing photographed before holes were added). • Quality - 4-thread overlocked seams and edges, made to last wear after wear. • Machine Washable - Wash on gentle/cold and line dry. 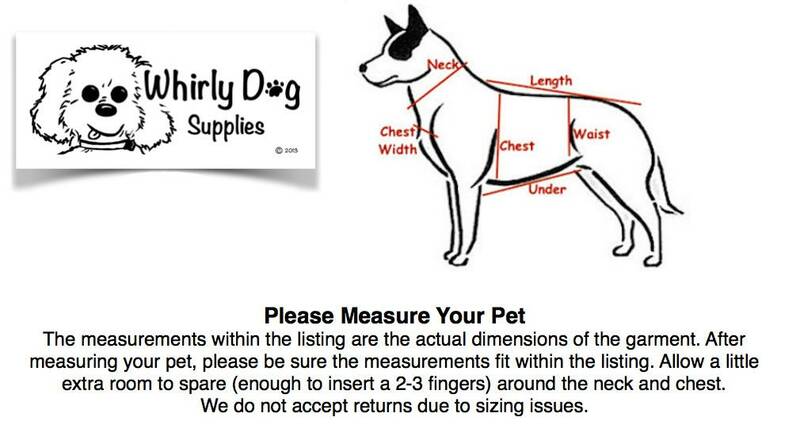 ◆ Note: pattern alignment may be different then pictured item. 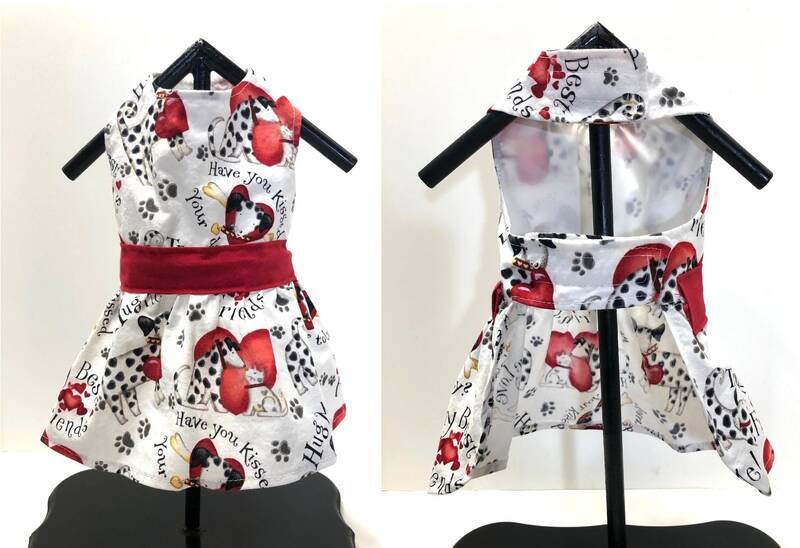 ** Made with Velcro neck and chest closures, so the dog dress can be adjusted slightly larger or smaller, depending on size. 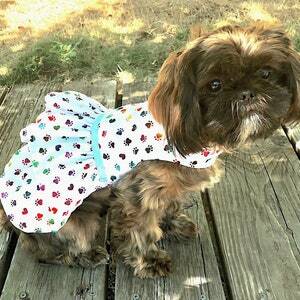 Made of a single lightweight layer of cotton for the skirt and bodice is lined with lightweight dress liner. On the back of the dress is a button hole that accommodates harness d-rings.